Call for Makers - What Will You Dream Up? On Saturday, May 30 please consider sharing your talents and ideas. 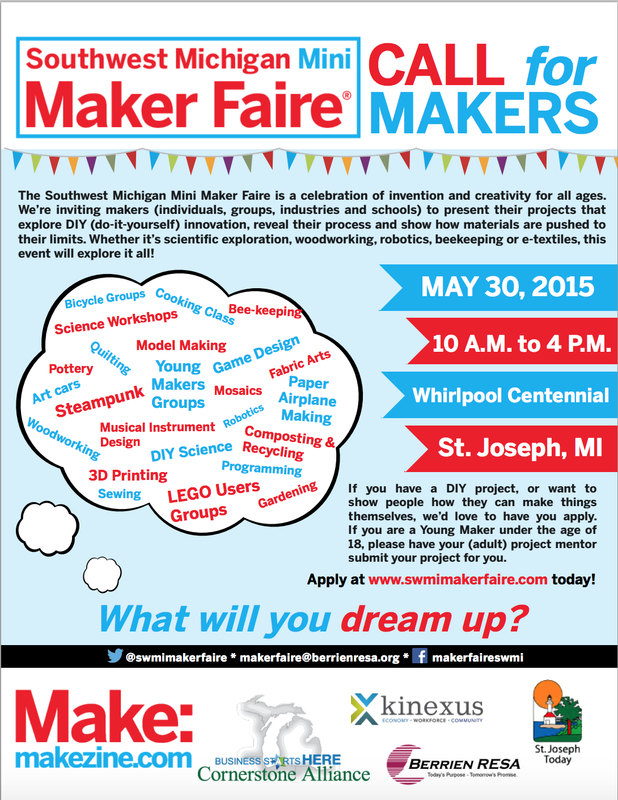 Our inaugural Maker's Faire depends on all of you! We know Southwest Michigan is full of amazing individuals. The Southwest Michigan Makers Faire will provide our community with the venue to share your talents and passions. Do you have a classroom full of creators? Come share with us. Do you tinker in the garage? Come share with us. Do you make on a professional basis? Come share with us! Our form is live and awaiting your ideas. Just click on the 'Makers Apply Here' button at the top of our site.